Apps are now how you watch your favourite movies, shows, sports and more. And it all starts with Apple TV. With the App Store on Apple TV, you can play big, exciting games on your big screen. You’ll also find apps that turn your lounge room into a fitness studio, a classroom and more. Add in the latest tvOS features and the Siri Remote with Touch, and there’s never been a better time to be a TV. Apps have liberated television. Netflix, Stan, tenplay, iTunes — apps are quickly becoming how we watch TV today. And with the App Store on Apple TV, you can discover so much more. You’ll find big, exciting games on your big screen, along with apps that turn your lounge room into a fitness studio, a classroom and more. You can listen to over 30 million songs with Apple Music, including your complete music collection. And you can see your entire library of photos, videos and shared content from your iPhone right there on your TV. 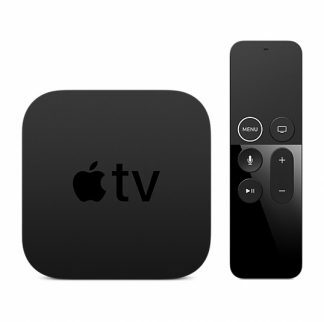 Add in the latest tvOS features and the Siri Remote with Touch, and there’s never been a better time to be a TV.